CornucAupia Gold Leaf Manufacturing, Inc. is proud to announce our new line of products under the “CleAurum” brand name. 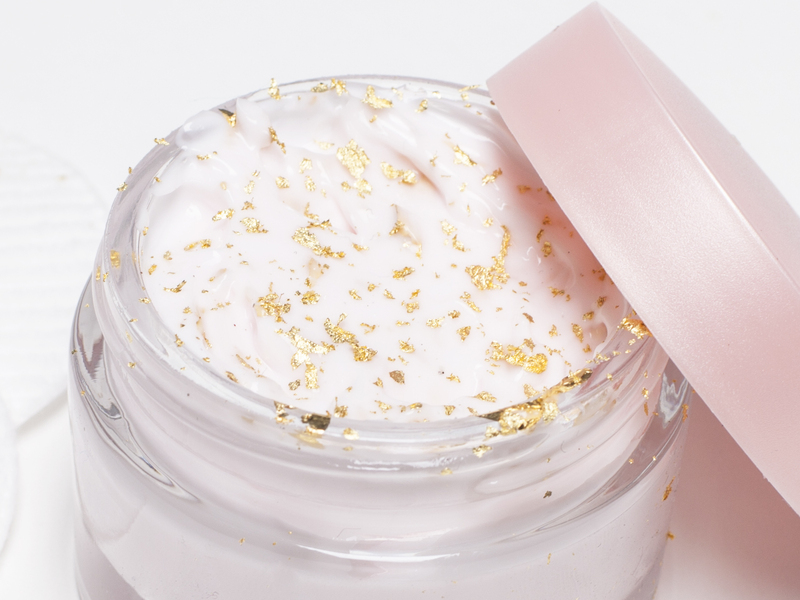 This new line of products are exclusively beauty cosmetic items, and include our 24K Gold Mask, made entirely of real 24K gold leaf, and our 24K Gold Leaf Crumbs to be used as an additive to your existing cosmetic products. Our CleAurum 24K Gold Mask is made up of 10 gold leaf sheets that come on an easy to use transfer paper housed in a booklet. You simply remove the transfer sheets with the gold on them from the booklet, and apply them to your face to cover the surface area. You may also use them on any other external part of the body that you would like. Our other product, CleAurum 24K Gold Leaf Crumbs is a form of fine crumbs made up entirely of 24K gold. It is designed to be added to any creams or cosmetic products that you already use to so that you may enjoy the benefits of gold with your favorite existing cosmetic products. Gold for skin care has been known to be used for a variety of applications such as slowing collagen degradation, to treating a variety of skin conditions, as well as a whole world of traditional medicines and holistic wellness methods. Now it’s time for you to take advantage of this beautiful precious metal and harness its beauty for yourself. If you have any questions about the products, our company, or would like more information, check out our Frequently Asked Questions page, or send us an email using our Contact Page.